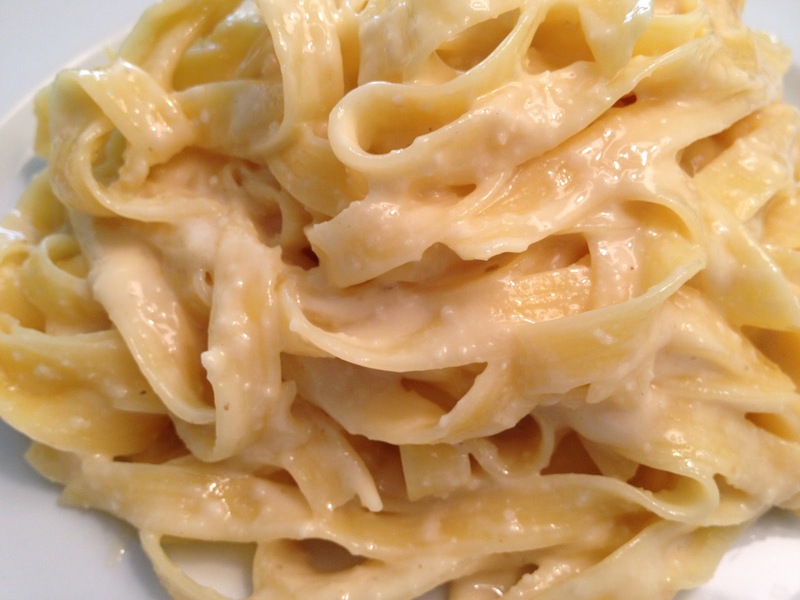 I have been working on my vegan version of Fettuccine Alfredo. This sauce is perfection and as minimal and close to the original as I could get it (although I honestly don’t remember what the original tastes like!) 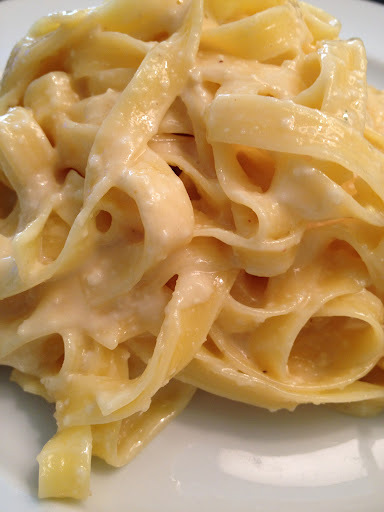 Tossed over amazing Italian gluten-free fettuccine by La Veneziane (of course the Italians know how to make amazing gluten-free pasta), it is a decadent and filling meal! The sauce is based on my cashew cream sauce with extra special ingredients to make it Alfredoesque. Chickpea miso gives texture, Marmite gives it just the right flavor, and the nutmeg the right spice. Boil the water for the pasta and cook until al dente. In a food processer, process the cashews and pine nuts until it is a fine powder. Add the miso, lemon juice, olive oil, water, Marmite, salt, and nutmeg and process for 20 seconds. It comes together fast! Taste and adjust seasonings. Drain the pasta and add back into the hot pot. Drop in the Earth Balance and toss the noodles so the Earth Balance melts and coats the noodles. Add in the sauce and toss to coat the noodles again. Enjoy!